BLOCKING - Yes, you should! I am always surprised by the number of knitters I know who've a) never heard of blocking or b) don't bother with it. 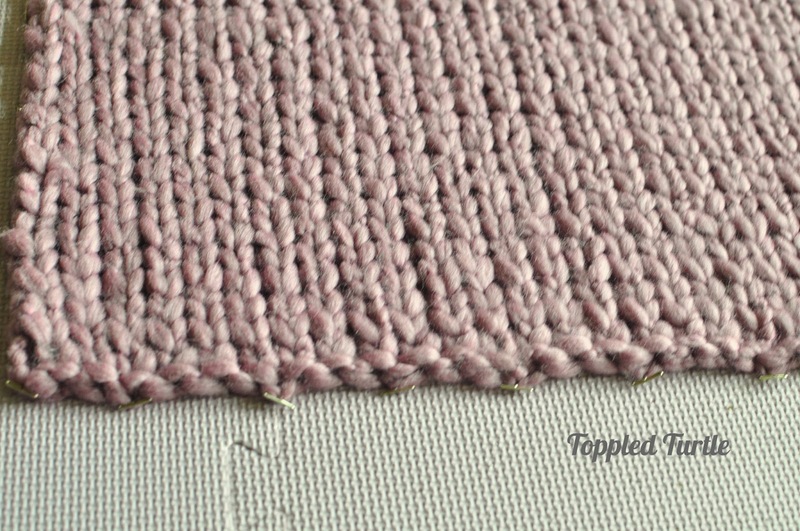 Let's demystify this easy step that will make a huge impact on your hand knits! 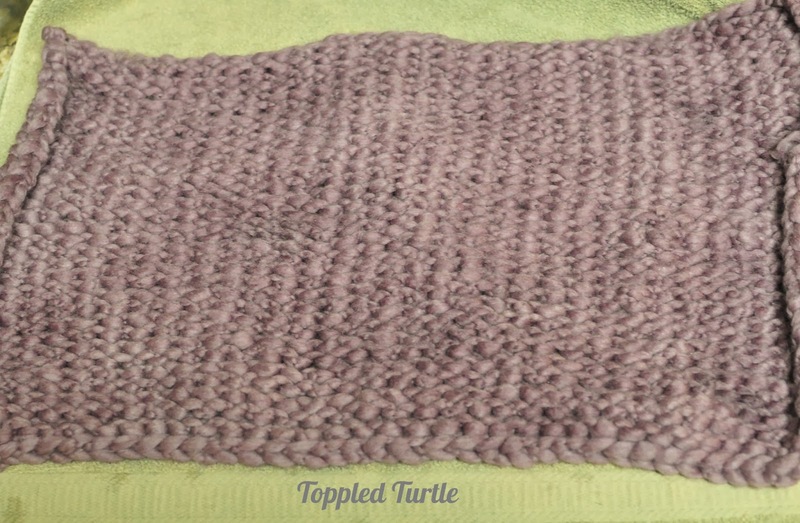 Blocking is a simple process of setting the stitches in your hand knits. 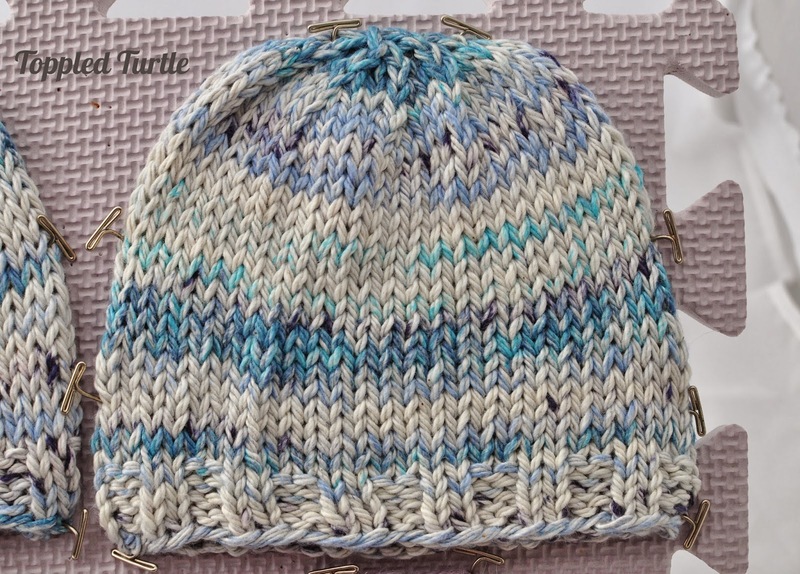 You've worked hard, spent many hours, perhaps shed some tears, and I know it's really tempting to take it off the needles and consider it done, throw a party, never look at it again, wear it immediately, or whatever it is you're in the mood to do. But, it's not done yet. Really, it isn't - don't get ahead of yourself. Blocking only takes a few minutes of your time and some drying time - trust me when I tell you the minimal effort and wait is well worth it! There are many different methods of blocking. I'll discuss my favorite below. Why is blocking beneficial (aka why bother)? Yarn is a fickle thing. It feels one way on the skein, another way once it's knit up, and changes again once it's been blocked. I cannot tell you how many times I've selected a beautiful yarn and been surprised by the stiffness of it once it was knit. But, guess what? I'm often surprised by how soft and supple it becomes again once it's been blocked. See the difference here - it's huge! So, let's get down to the knitty-gritty. Blocking mats or cardboard. 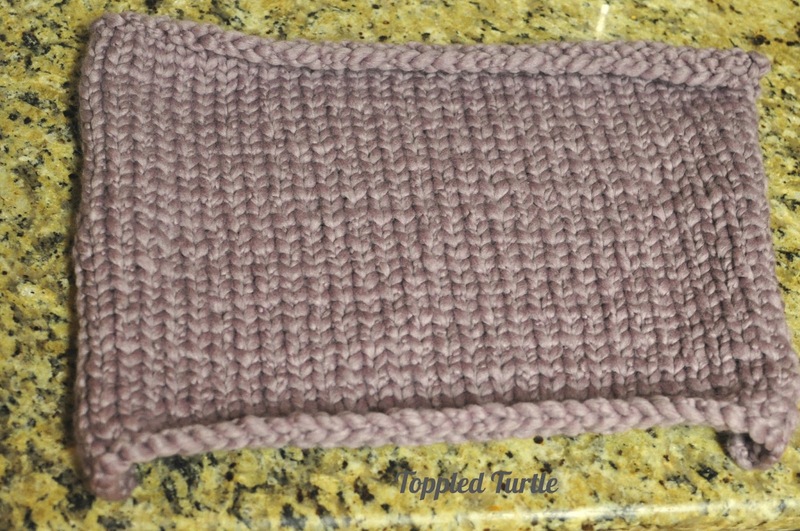 My favorite are Knit Picks blocking mats. They're basically foam puzzle pieces that you can set up to whatever configuration you need. Long and narrow for a scarf? No problem. 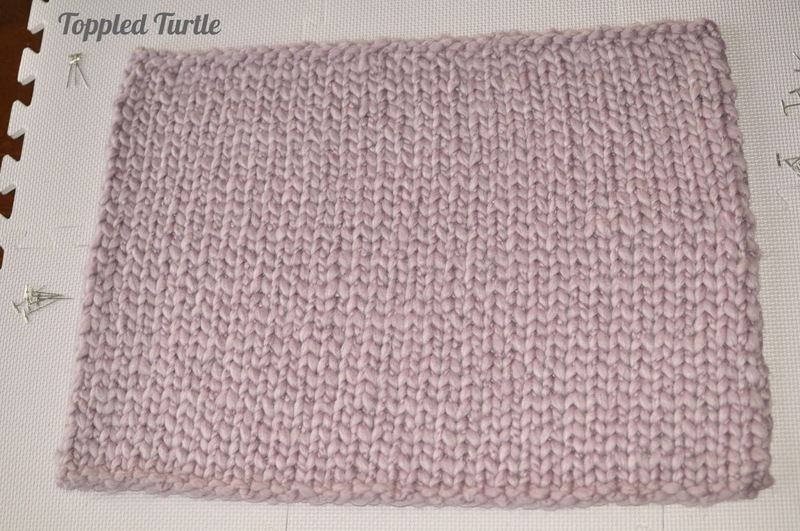 Large square/rectangle for a blanket or sweater? Yes, you can do that to. Just need a small surface, no problem, just use 1 of them. Easy to use, easy to store! See how many you can fit on 1 square? 2. Hold it under running *cold* water until it is nice and wet. Some blocking instructions will tell you to use a water bottle and lightly spritz your work. Nay, I say! 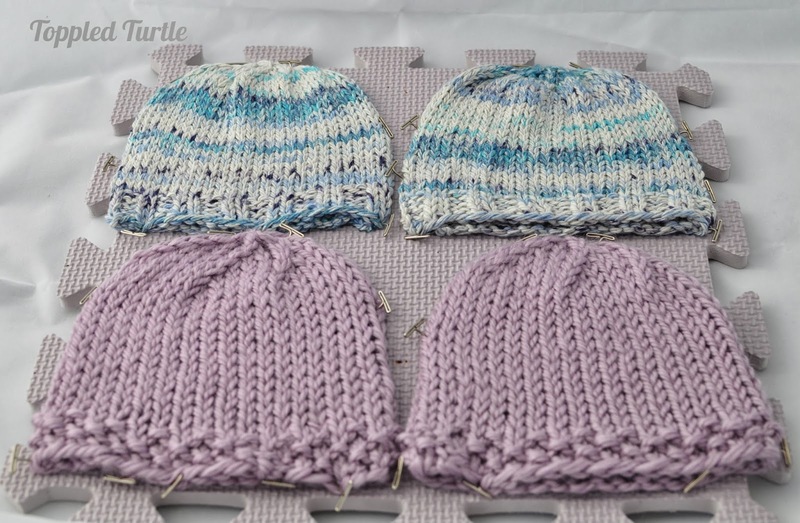 Spritzing results in uneven application and often cannot get all the way down into the knits. And, don't even talk to me about overspray. Just use the sink - you'll be happier. 3. Squeeze out as much water as you can. Don't wring it out - you don't want to stretch it oddly and unevenly. Squeeze and move on. 4. Lay out your towel and spread your wet work onto it. Roll it into the towel and press & squeeze and get as much water out of it as you can. See how the edges are already behaving themselves more properly?! I haven't even rolled it yet! 5. Spread your work onto the blocking mats (or cardboard covered with a fresh/dry towel). 6. Start pinning. I start across one side to anchor my work. If you are going to stretch it slightly, pull gently and pin on the opposite side as your anchor pins. Then, pin the other sides. I stretched this piece slightly, so pins are a-plenty! 7. Let your work air dry. The amount of time it will take will depend on a lot of factors, including the fiber content, temperature of your house, thickness of the knit, how much water you extracted when you rolled it into a towel, etc. Plan 1-3 days and check it periodically. 8. Once dry, unpin and you're ready to go (and be amazed)! - The number of pins you'll need to use will vary depending on if you're stretching it or dealing with rolling. If you're just blocking to improve the texture, you won't need many. - Don't over stretch. You can only accomplish so much with blocking. Use a lot of pins when stretching and be careful it's not causing it to pull where the pins are and nowhere else (this will create somewhat of an unnatural, scalloped edge).